Professor - Computer Science Department (IvI), University of Amsterdam. Group Leader - Federated Collaborative Networks (FCN). Chair of General Assembly - Society of Collaborative Networks (SoColnet). Specialized and Complex Web-based Application Domains: Bio-Informatics, Manufacturing, Bio-Diversity, Distributed Control Engineering. PhD in Computer Science, University of Southern California (USC), July 1985. MS in Computer Science, Arya-Mehr (now Sharif) University of Technology (AMUT), Tehran, December 1977. BBA in Business Administration, Tehran School of Business and Administration, June 1975. GLONET [FP7 / Project No. 285273, 2011-2014]. Collaborating with a network of eight research and industry partners, the project aims at designing,developing, and deploying a virtual organization environment for networks of SMEs, involved in highly customized and service-enhanced product specification and co-development, e.g. supporting the solar energy industry. GLONET's virtual organization will support end-to-end collaboration with customers, as well as co-creation among regional and remote suppliers. Development of the planned support environment of GlONET adopts a cloud-based approach (applying the CAS OPEN's cloud-based PaaS and SaaS offerings) so its supporting services dynamically upgrade without influencing the nodes and stakeholders in the environment. COVE [International IFIP TC5] (2000- open ended). In collaboration with IFIP associated experts from all around the world, aiming at the assessment and categorization of results achieved in both research and practices in the area of virtual enterprises and electronic business, leading to the design of common reference models, cooperation infrastructures, and prospects for further collaborative developments. BRAID [FP7 project No. 2484852] (2010-2012). Collaborating within a network of nine research and academic partners, focus on bridging research in ageing and ICT development. The project aims at development of a consolidated "roadmap" to characterize the key research challengesand to produce a vision for a comprehensive approach in supporting the integration of increasing number of senior professionals in Europe.The technological perspective of the vision for these Virtual Communities (VCs) of elderly professionals will identify the needed R&D in related areas such as the soft computing, affective computing, machine learning, and collaborative networks. ePAL [FP7 project No. 215289] (2008 – 2010). In collaboration with four other European partners from research and industry, aiming at development of a “roadmap” to identify the needed models, methodologies, technologies, architectural infrastructure, and constituting components, towards supporting the establishment of Virtual Communities (VCs) for elderly professionals to remain active. The main target of establishing these VCs is to support the challenging fluid formation of problem solving Virtual Teams (VTs), with the focus on behavior modeling, causal reasoning and soft computing, affective computing / emotion-oriented systems, machine learning, and collaborative networks. LifeWatch [FP7 / ESFRI project No. 211372], (2008-2011). In collaboration with a network of twenty seven research and academic partners, and more associated organizations world-wide. This is a ESFRI preparatory project investigating the required infrastructure for global biodiversity research. The project aims to generate a roadmap for this infrastructure, namely focused on the identification and characterization of: the key research and development challenges, the construction of required physical and virtual networks, and the supporting infrastructure for collaborative activities within this network, focused on all aspects of global biodiversity. In close collaboration with twenty other Dutch universities, research institutes, and industies, building a support environmentand a the proof of concept for e-science experimentations applied to six different scientific application areas. ECOLEAD [6FP/IP - European Collaborative networks Leadership initiative] (2004-2008). An Integrated Project in the 6th Framework Program of the European Commission,collaborating with twenty other European partners, aiming to achieve the necessary base for establishment of collaboration networks in Europe, creating impact both in academia and industry. In specific the project develops a holistic approach to the VO breeding environments, dynamic VO management, and professional virtual communities,as well as the theoretical foundation, and the IC technology base for this paradigm. ENBI [5FP - European Network for Biodiversity Information, Project No. 2001-00618] (2002-2006). Collaborating with twelve other European partners, aiming to provide possibilities to monitor biodiversity world-wide by both stimulating integrated access to (existing historical) biodiversity data and by developing a common monitoring biodiversity information infrastructure. ENBI, in particular, includes and involves all European national nodes of the Global Biodiversity Information Facility (GBIF) as well as all other relevant EU-funded projects. TeleCARE [5FP/IST project No. 27607] (2001-2004). Collaborating within a network of six European industrial, research, and academic partners, building a configurable base framework and new tools and mechanisms for tele-supervision and tele-assistance, applied to aid elderly people. The development of TeleCARE is based on the virtual organization paradigm and the mobile multi-agent systems technology. THINKCreative [5FP/IST-Working Group, Project No. 2000-29478] (2001-2004). Collaborating within a network of eleven European experts in the area of Virtual/Networked Organizations, from industry, research, and academia, aiming to characterize and define scenarios of the emerging organizational forms in Europe, their required IT, social, organizational, legal, ethical infrastructures, necessary future modeling approaches and tools, for the next 5, 10, and 20 years, and to develop a Green Book to advise EC on its future RTD planning. VOSTER [5FP/IST-Accompanying measure, project No. 2001-32031] (2001-2004). Collaborating within a network of fourteen European industrial, research, and academic -partners, aiming at the systematization and harmonization of the developments and results achieved in a number of leading European RTD projects and industry, on Virtual and Smart Organizations (VO). VOmap [5FP/IST-Thematic Network project No. 2001-38379] (2002-2003). Collaborating within a network of eight European industrial, research, and academic partners, aiming to generate a road-map for a multi-disciplinary RTD, e.g. to identify and characterize the key research areas of challenge, required constituency, and implementation models, to be able to develop systems supporting emerging dynamic collaborative networks of organizations. Virtual Laboratory - VL [Dutch-ICES/KIS II] (1999-2003). In close collaboration with Four groups - two within the UvA's Informatics Institute (IvI) and two external Dutch research institutes (SILS and FOM) - building an open, and configurable Grid-based framework and a variety of generic tools and mechanisms, to facilitate scientists and engineers with their experimentation. VL makes optimum use of modern IT, and is demonstrated for several application domains, namely: experimental physics, bio-informatics, bio-medicine, and systems engineering. BMI-Flexwork [Dutch/NWO, Bio-molecular Informatics] (2001-2003). Collaborating with four other Dutch Universities and institutes, building a flexible distributed and Grid-based framework for integration of a wide variety of data, such as gene sequences, molecular markers, micro-array expression data, and the mass spectrometry protein sequence data. Applying the high performance Grid infrastructure being developed in the Virtual Laboratory project (described below), Flexwork will support and demonstrate some application-based collaborative biological experimentation among these institutes. FETISH-ETF [5FP/IST, Accompanying measure, project No. 13015] (1999-2001). In collaboration with six Other European academic and industry partners, aiming to provide a web-based common infrastructure to integrate the fragmented tourism information systems and their IT-based services into a federation of distributed resources, and to be accessed by the end users and other service provider enterprises through a single connect point. MASSYVE [INCO-DC, project No. 962219] (1997-2000). In collaboration with two European industry and academic institutes and one Latin American academic institute, aiming at the design of a federated multi-agent platform to support distributed scheduling of manufacturing activities. PRODNET II [ESPRIT IV project No. 22.647] (1996-1999). In collaboration in a network of eight industry, research, and academic partners, developing the base infrastructure and interoperability facilities to provide an open platform and some co-working mechanisms, supporting the operation phase of the Virtual Enterprises, developed and demonstrated for production planning and management in the extended manufacturing enterprise sector. WATERNET [ESPRIT IV project No. 22.186] (1996-1998). In collaboration in a network of ten industry, research and academic partners, building a support infrastructure and system for co-working of pre-existing legacy systems involved in advanced supervision, management and control of water distribution networks. 3DOME [Dutch HPCN project] (1996-1998). In collaboration with seven other Dutch industries, building a 2D/3D graphic data and services broker/mediator center. DIGIS [Dutch SION/NWO project No. 612-32-000] (1995-1997). In collaboration with two other European cancer institutes, developing an architecture for the virtual integration of pre-existing huge Genome databases. CIMIS.net [ESPRIT IV basic research, ECLA 004: 76102] (1993-1996). Collaborating within a network with five other international academic, research and development centers, aiming at the design of a support system for CIM. PEER [partially supported by the IBM] (1990-1995). An intra-departmental project, aiming at the development of a generic federated database management system, to be used for the purpose of teaching, practice, and research within the federated database group. ARCHON [ESPRIT III project No. P2256] (1989-1994). In collaboration in a network of fourteen European industry, research, and academic institutes, building a generic framework for cooperation and information sharing among the nodes a network of loosely-coupled semi-autonomous systems, applied to the electricity distribution control systems. CIM-PLATO [ESPRIT III project No. 2202] (1989-1992). In collaboration with seven Other European industry, research and academic partners, building a tool box to facilitate concurrent engineering. 2001, Cesar O. Garita "Federated Information Management for Virtual Enterprises". 2002, Ammar. Benabdelkader "Information Integration among Heterogeneous and Autonomous Applications". 2004, Ersin C. Kaletas "Scientific Information management in Collaborative Experimentation Environments". 2007, Victor Guevara Masis "Information management for telecaring virtual organizations". 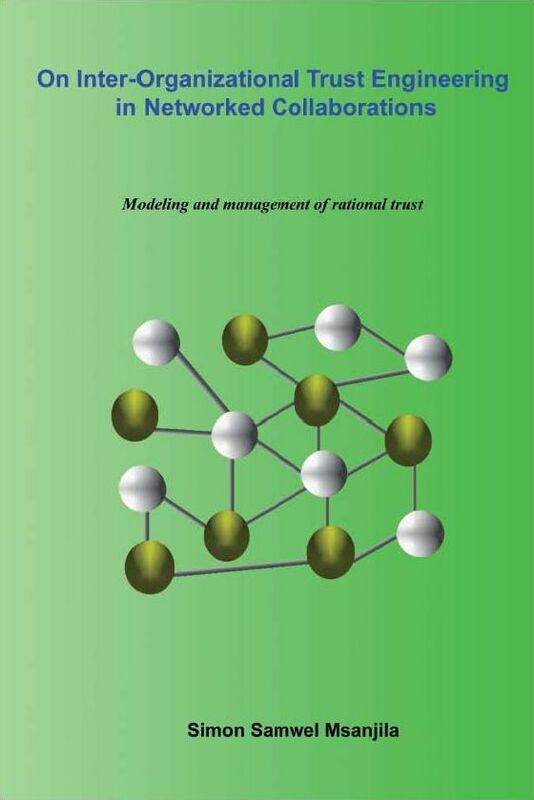 2009, Simon S.Msanjila "On Inter-organizational Trust Engineering in Networked Collaborations". 2010, Ozgul Unal Karkas,"A Semi-automated Schema Matching and Schema Integration in Collaborative Networks." 2013, Jafar Tanha, "Ensemble Approaches to Semi-Supervised Learning"
Hodjat Soleimanimalekan [Area: Software Service Composition for Business Process Integration in Networks of Organizations]. Mahdi Sargolzaei [Area: Discovery and Monitoring of Service Execution in Networks of Organizations]. Mahdieh Shadi [Area: Modeling and Enhancement of Collaboratiive Behavior in Networks ]. Naser Ayat [Area: Service integration in virtual organizations]. Luis Osorio [Area: Process modeling and support infrastructure for intelligent collaborative transportation systems]. Ekaterina Ermilova - Area: Ontology engineering and Management / Discovery of Competency in Virtual Organizations Breeding Environments - Expected graduation in 2013. Shafahi, M., Afsarmanesh, H., & Paap, S. (2016). BioMed wizard: An approach for gathering personal risk factor data. In HEALTHINF 2016 - 9th International Conference on Health Informatics, Proceedings; Part of 9th International Joint Conference on Biomedical Engineering Systems and Technologies, BIOSTEC 2016 (pp. 298-305). SciTePress. Afsarmanesh, H., Sargolzaei, M., & Shafahi, M. (2014). D4.3 Report on dynamically customizable services enhancing products. Amstedam: Glonet - Glocal enterprise network focusing on custumer-centric collaboration. Sargolzaei, M., Shafahi, M., & Afsarmanesh, H. (2014). D4.4 Prototype of the system for enhanced services recommendation. Amsterdam: Glonet - Glocal enterprise network focusing on custumer-centric collaboration. Camarinha-Matos, L. M., Ferrada, F., Oliveira, A. I., Rosas, J., Afsarmanesh, H., Brielmann, M. S., ... Bond, R. (2011). Guidelines for Roadmap Implementation. BRAID, EC FP7 Coordinated action project 248485, deliverable D6.3. Lisbon: BRAID. Afsarmanesh, H. (2011). EU FP7 grant "GLONET: Glocal enterprise network focusing on customer-centric collaboration". Afsarmanesh, H. (2010). IFIP TC5 Fellow Award for IT. Afsarmanesh, H. (2009). Best paper award. Afsarmanesh, H. (2007). Hamideh Afsarmanesh was elected as a "Senior Member" in the IEEE. Afsarmanesh, H. (2011). Program committee member, FAVO 2011 – Workshop on Formal Aspects of Virtual Organizations, Sao Paulo, Brazil, 18 October, 2011. Afsarmanesh, H. (2011). Program Committee Member, CSCWD 2011, 15th International Conference on Computer Supported Cooperative Work in Design, Lausanne, Switzerland, 8-10 June 2011. Afsarmanesh, H. (2011). Program Committee Member, ICEGOV 2011 – 5th International Conference on Theory and Practice of Electronic Governance, Tallinn, Estonia, 26-28 September 2011. Afsarmanesh, H. (2011-2013). Member, BGST (Board on Global Science and Technology) at the National Academy of Science of the United States of America. Afsarmanesh, H. (2011). Program committee member, CODS 2011 – 5th International Conference on Complex Distributed Systems, Mannheim, Germany, December 5-7, 2011. Afsarmanesh, H. (2011). Program committee member, PRO-VE’11 – 12th IFIP Working Conference on Virtual Enterprises, Sao Paulo, Brazil, 17-19 October, 2011. Afsarmanesh, H. (2011). Program committee member, CSSE 2011 – Int. Symposium on Computer Science and Software Engineering, Tehran, Iran, June 15-16, 2011. Afsarmanesh, H. (2011). Program committee member, ISSS 2011 – 3rd Int. Symposium on Services Science, Szczecin, Poland, September 19-21, 2011. Afsarmanesh, H. (2011). Program committee member, EI2N 2011 – 6th International Workshop on Enterprise Integration, Interoperability and Networking, Hersonissou, Crete, Greece, October 17-21, 2011. Afsarmanesh, H. (2011). Program Committee Member, BIS 2011 – 14th International Conference on Business Information Systems, Poznan, Poland, 15-17 June 2011. Afsarmanesh, H. (2011). Program Committee Member, DoCEIS 2011 – 2nd Socolnet/IFIP/IEEE Doctoral Conference on Computing, Electrical and Industrial Systems, Costa de Caparica, Portugal, 21-23 Feb 2011. Afsarmanesh, H. (2011). Program committee member, ICE 2011 – 17th Int. Conference on Concurrent Enterprising, Aachen, Germany, 20-22 June, 2011. Afsarmanesh, H. (2011). Program committee member, DEXA 2011 – 22nd International Conference on Database and Expert Systems Applications, Toulouse, France, August 29 – September 2, 2011. Afsarmanesh, H. (2011). Program Committee Member, ICSOFT 2011 – 5th International Conference on Software and Data Technologies, Seville, Spain, 18-21 June 2011. Afsarmanesh, H. (2011). Program Committee Member, CTS 2011 – 2011 International Conference on Collaboration Technologies and Systems, Philadelphia, Pennsylvania, USA. Afsarmanesh, H. (2010-2011). Designated member, Sub-committee “Collaborative Networks” of the “IEEE Technical Committee on Industrial Agents”. Afsarmanesh, H. (2010). Chair, Workshop on Roadmaps towards a strategic research agenda for ICT in active ageing, Munich, Germany, 22 Mar 2010, Munich. Afsarmanesh, H. (2010). Program Committee Member, PRO-VE 2010 – 11th IFIP Working Conference on Virtual Enterprises, Saint-Etienne, France, 11-13 October, 2010. Afsarmanesh, H. (2010). Program Committee Member, IISE 2010 – 3rd International Conference on Industrial Informatics and Systems Enginerring, Chongping, China, 12-14 July 2010. Afsarmanesh, H. (2010). Program Committee Member, CTS 2010 - International symposium on Collaborative Technologies and Systems, Chicago, Illinois, USA, May 7-21, 2010. Afsarmanesh, H. (2010). Program Committee Member, DEXA 2010 – 21st International Conference on Database and Expert Systems Applications, Bilbao, Spain, August 30 – September 3, 2010. Afsarmanesh, H. (2010). Program Committee Member, IPAS 2010 – 5th International Precision Assembly Seminar, Chamonix, France, 14-17 Feb 2010. Afsarmanesh, H. (2010). Program Committee Member, ISSS 2010 - International Symposium on Service Science, Leipzig, Germany September 30, 2010. Afsarmanesh, H. (2010). Program Committee Member, MCPL 2010 – IFAC Conference on Management and Control of Production and Logistics, Coimbra, Portugal, 8-10 Sep 2010. Afsarmanesh, H. (2010). Program Committee Member, DoCEIS 2010 – 1st Socolnet/IFIP/IEEE Doctoral Conference on Computing, Electrical and Industrial Systems, Costa de Caparica, Portugal, 22-24 Feb 2010. Afsarmanesh, H. (2010). Program Committee Member, BASYS 2010 - 9th IFIP International Conference on Information Technology for Balanced Automation Systems, Valencia, 23-25 June 2010. Afsarmanesh, H. (2010). Program Committee Member, ICEGOV 2010 – 4th International Conference on Theory and Practice of Electronic Governance, Beiging, China, 25-28 October 2010. Afsarmanesh, H. (2010). Program Committee Member, COOPIS 2010 – 18th International Conference on COOPERATIVE INFORMATION SYSTEMS, Crete, Greece, 27-29 Oct 2010. Afsarmanesh, H. (2010). Program Committee Member, ICITST 2010. 5th International Conference for Internet Technology and Secured Transactions, London, UK, Nov 8-11, 2010. Afsarmanesh, H. (2010). Program Committee Member, Research Seminar Series on “Interdisciplinary Contributions to Theory of Collaborative Networks”, University of the West of Scotland, 15-16 Nov 2010. Afsarmanesh, H. (2010). Program Committee Member, CSCWD 2010 – 14th International Conference on Computer Supported Cooperative Work in Design, Shanghai, China, April 14-16, 2010. Afsarmanesh, H. (2009-2011). Member, SMCS (Systems, Man, and Cybernetics Society). Afsarmanesh, H. (2009-2011). Chair, IFIP TC5 - WG5.5 (COVE). Afsarmanesh, H. (2006-2011). Chair of the General Assembly Board (and founding member), SOCOLNET (Society of Collaborative Networks). Afsarmanesh, H. (2006-2011). Member, SOCOLNET (Society of Collaborative Networks). Afsarmanesh, H. (2004-2012). Dutch representative, IFIP TC5. Afsarmanesh, H. (1999-2011). Designated member, IFIP TC5 - WG5.3. Afsarmanesh, H. (1984-2011). Member, IEEE. Afsarmanesh, H. (1983-2011). Member, Sigma Xi. Afsarmanesh, H. (1983-2011). Member, Association for Computing Machinery (ACM). Afsarmanesh, H. (editor) (2011). International Journal of E-Adoption (Journal). Afsarmanesh, H. (editor) (2011). International Journal of Mobile Learning and Organisation (Journal). Afsarmanesh, H. (editor) (2011). Transactions on Large Scale Data- and knowledge-centered Systems (Journal). Afsarmanesh, H. (editor) (2011). International Journal of Agile Systems and Management (Journal). Afsarmanesh, H. (editor) (2011). International Journal of Information Technology and Management (Journal). Afsarmanesh, H. (editor) (2010). International Journal of Agile Systems and Management (Journal). Afsarmanesh, H. (editor) (2010). International Journal of Mobile Learning and Organisation (Journal). Afsarmanesh, H. (editor) (2010). International Journal of E-Adoption (Journal). Afsarmanesh, H. (editor) (2010). Transactions on Large Scale Data- and knowledge-centered Systems (Journal). Afsarmanesh, H. (editor) (2010). International Journal of Information Technology and Management (Journal). Afsarmanesh, H. (editor) (2009). International Journal of Agile Systems and Management (Journal). Boucher, X. 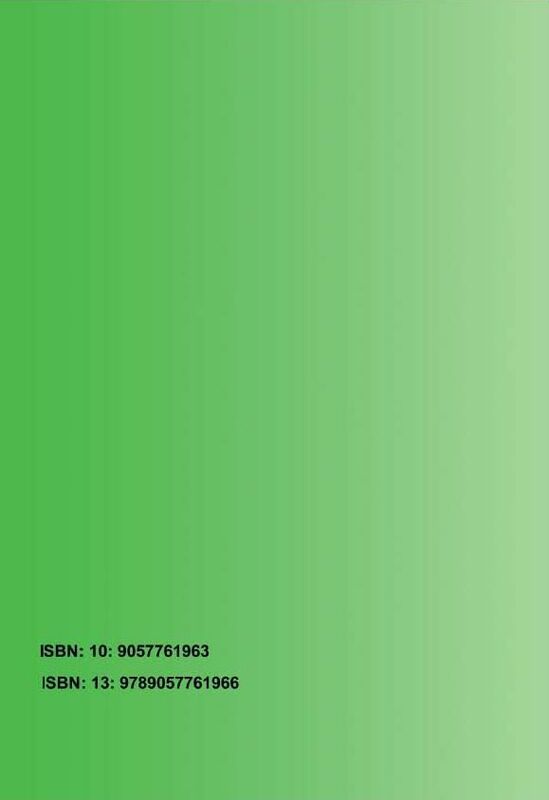 (editor), Camarihna-Matos, L. M. (editor) & Afsarmanesh, H. (editor) (2009). International Journal of Information Technology and Management (Journal). Afsarmanesh, H. (editor) (2009). International Journal of Information Technology and Management (Journal). Afsarmanesh, H. (editor) (2009). International Journal of E-Adoption (Journal). Afsarmanesh, H. (editor) (2009). International Journal of Mobile Learning and Organisation (Journal). Afsarmanesh, H. (editor) & Analide, C. (editor) (2009). International Journal of Production Research (Journal). Afsarmanesh, H. (editor) (2008). International Journal of Agile Systems and Management (Journal). Afsarmanesh, H. (editor) (2008). International Journal of E-Adoption (Journal). Afsarmanesh, H. (editor) (2008). International Journal of Information Technology and Management (Journal). Camarinha-Matos, L. M. (editor) & Afsarmanesh, H. (editor) (2008). International Journal of Production Research (Journal). Afsarmanesh, H. (editor) (2008). International Journal of Mobile Learning and Organisation (Journal). Afsarmanesh, H. (editor) & Camarinha-Matos, L. M. (editor) (2008). International Journal of Information Technology and Management (Journal). Afsarmanesh, H. (editor) (2007). International Journal of Mobile Learning and Organisation (Journal). Afsarmanesh, H. (editor) (2007). International Journal of Information Technology and Management (Journal). Afsarmanesh, H. (editor) (2007). International Journal of Agile Systems and Management (Journal). Afsarmanesh, H. (editor) (2006). International Journal of Information Technology and Management (Journal). Afsarmanesh, H. (editor) (2006). International Journal of Agile Systems and Management (Journal). Afsarmanesh, H. (editor) (2005). International Journal of Information Technology and Management (Journal). Afsarmanesh, H. (editor) & Camarinha-Matos, L. M. (editor) (2004). International Journal of Networking and Virtual Organisations (Journal). Afsarmanesh, H. (editor) (2004). International Journal of Information Technology and Management (Journal). Camarinha-Matos, L. M. (editor) & Afsarmanesh, H. (editor) (2003). International Journal of Networking and Virtual Organisations (Journal). Afsarmanesh, H. (editor) (2003). International Journal of Information Technology and Management (Journal). Afsarmanesh, H. (editor) (2002). International Journal of Information Technology and Management (Journal). Afsarmanesh, H. (speaker) (31-8-2009). Management of Information Supporting Collaborative Networks (keynote speach), 20th International Conference on Database and Expert Systems Applications, Linz, Austria. Afsarmanesh, H. (speaker) (1-10-2006). Collaborative Networks and their Breeding Environments, International guest lectures on Computer Science, Utrecht University of Applied Sciences (hogeschool), Utrecht, the Netherlands. Afsarmanesh, H. (speaker) (1-9-2006). VO Breeding Environments & Competency Management, the ECOLEAD Summer School on Collaborative Networks - ECOSS, Helsinki, Finland. Afsarmanesh, H. (participant) (22-3-2010). Workshop on Roadmaps towards a strategic research agenda for ICT in active ageing, Munich, Germany (participating in a conference, workshop, ...).